1. Pull 10 of your favorite images. (NOTE: NOT your most popular, or the ones that made you the most money… pick the 10 images you love for whatever reason.) 2. Write down what you love about them. It is important to write this – thinking ain’t gonna cut it – we need all the senses working on this. 3. Write down what you would do, if you could do it again, to make them even better. Is it the need of a good stylist? Would you crop them differently, or frame them with more dynamics? Would you still use the same lens and light you did? 4. Pick 10 of the shots you think you should love, but don’t. Write down what works about them, and what you don’t like about them. Be brutal – you can make up to yourself with a brewski later – and put it all down. 5. Plan a shot to put what you have learned to use. What was not in your images, you add. What you didn’t like, you leave out. I think this is a dynamo list of personal – introspective to do’s. One point in particular that’s interesting to me is #4. The “near miss”. That photo that should have been rad and was… well disappointing. What happened. Did you plan correctly or were you missing a key ingredient? Was the natural light as planned? How about the added light (strobes)? Was the mood just wrong? The core question here is was the fail technical or emotional. I believe that many times our creative mind is being overtaken by the desire to finish something. We get attached to the end product and forget about the journey that is vital to creating that product. Notably the energy and mood you bring to a shoot will make or break it. Take a minute, walk through the photo again and analyze it. Reconstruct the setup, the people, the mood, the gear. And then… do it again. Go out there and challenge yourself and nail it this time. Sure the publication date has passed, or the season is slightly different, or whatever, but make it click this time. So few photographers recreate a near miss and make it a great photo. This is where a photographer can graduate from pretty good to… really, really good, in my opinion. Here’s a near miss for me. 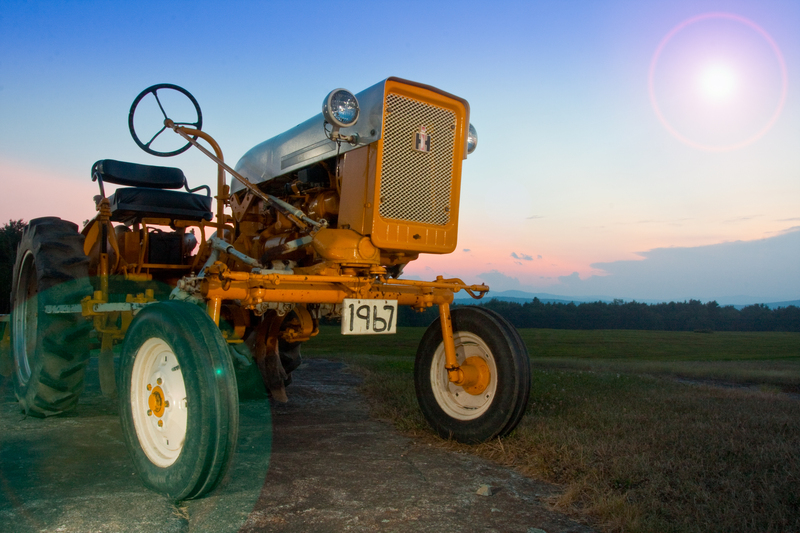 A Maine tractor. Simple, no pressure shoot. I wanted to light it with strobes and create a fancy image for this strobist competition. I couldn’t pull off the lighting I wanted. The sun was moving and I tried harder and faster. And well, I got lost in light management. The image is “okay” at best. The technical hiccup triggered an emotional wave and I just missed the shot. My mind was all over the place trying to figure out how to make a simple image complex. I tried to overdo it (I’m sure that never happens to anyone else). No amount of Lightroom and PS and converting to black and white could conquer my expectations for this exposure. I’ll be back there, in a calmer emotional state and less gear, and I’ll get it right next time. Even your near misses look pretty great to me! 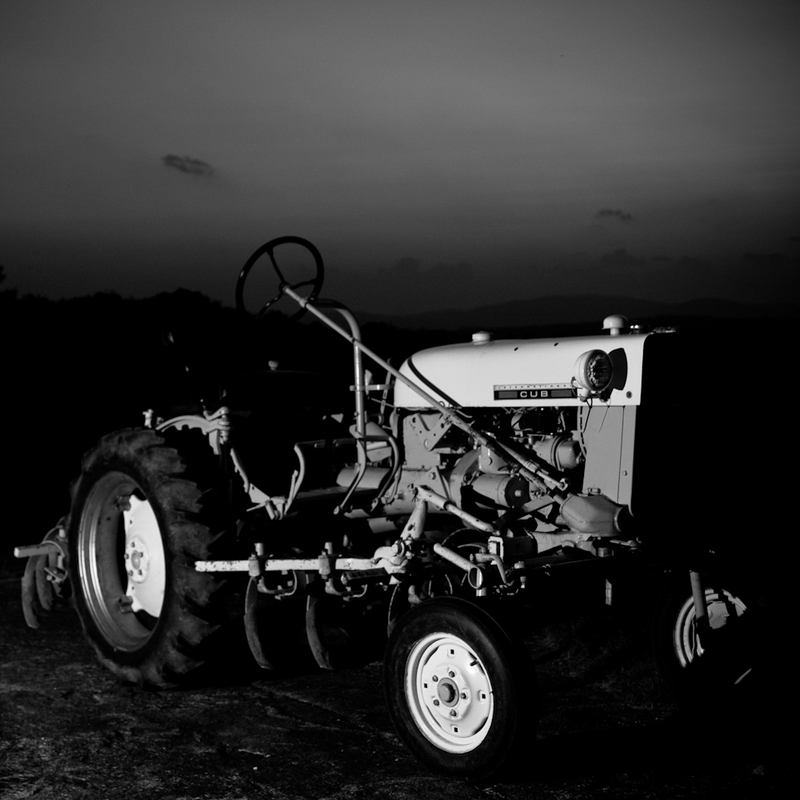 By the way…that is one good looking tractor.